Dropship business has been considered as the most efficient method to start a business for a young and inexperienced entrepreneur. Without a huge amount of capital, one can sell products provided by suppliers. Nowadays, there are many supplier directories that are ready to help initiate your business, one of which is SaleHoo. How to dropship with SaleHoo? This could be the first question that comes across your mind. Actually, it does not require complicated steps as basically, it is like a typical supplier directory. Check this out to know more about SaleHoo. Among many other supplier directory services, SaleHoo is considered as reliable and trustworthy for dropship business. For your information, SaleHoo connects suppliers to drop shippers from different countries such as the UK, the United States, and Australia on the platform. The drop shippers are connected to manufacturers, liquidators, and suppliers to access the products at wholesale prices. Many of its drop shippers sell on Amazon, eBay, or Etsy. If you are interested to join the platform and be a drop shipper, here are simple steps to deal with. 1. Visit the official website of SaleHoo at www.salehoo.com. Find Get Started Now button, commonly on red and click. 2. You will be directed to the plan page, offering you 1 year of unlimited access with a flat price. 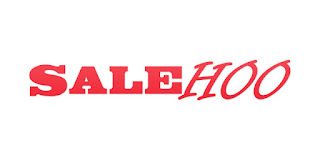 Click Get Started to make a SaleHoo account. 3. You will need to create a SaleHoo membership by providing the full name and email address. When you are done, hit Create Account. 4. On the next page, you will be taken to payment choices and you are joining SaleHoo. This feature lets you figure out in-demand products and hot-selling trends before anyone else. It also allows you to discover what kind of products provides the highest profit margin. If you want to find a low-cost supplier, this feature will do. Finding the right supplier is essential for dropship business. SaleHoo provides supplier directory that will help you find supplier according to your preference. You can set the specific criteria and filter among 8,000 suppliers. This feature also allows you to organize the details of suppliers, so you can negotiate safely for the low-cost products. A young entrepreneur needs more experience to initiate and expand their business. SaleHoo facilitates you with smart seller training for beginners and provides video tutorials, e-commerce glossary, and also online selling guides. Furthermore, step-by-step training is also offered to beginners, allowing them to learn how to find products, choose suppliers, and more. How to sell on eBay like a pro? It is quite relieving to know that SaleHoo could be your best platform to start dropship business.